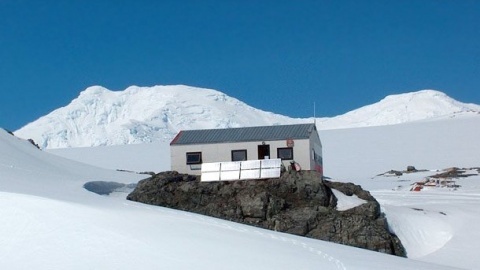 A joint rescue operation conducted by Brazil and Chile involving navy ships, an aircraft and a helicopter, has helped to save Yordan Yordanov, commander of the Bulgarian Antarctic base, who suffered a heart attack on Friday, Bulgaria's Foreign Ministry announced on Tuesday. Yordanov, who had been admitted to the "Magelan" hospital in Punta Arenas after spending two days at a Chilean military base, told journalists of 24 Hours daily that he was feeling better and that he would spend the next 6-8 days there before the doctors decided if he had to return to Bulgaria. The base commander got a heart attack a few hours before arriving on Livingstone Island on November 11. The accident happened on the Brazilian Brazilian Navy ship "Admiral Maximiliano" as the crew was about to be taken to the island via helicopters. As Yordanov complained of the unbearable pain, he had an electrocardiogram, and the captain of the ship ordered that the vessel return to King John Island, where he was stabilized at the Chilean military base before being taken to hospital. He was flown to Punta Arenas on the evening of November 13 on a small Chilean twin engine aircraft in a flight which lasted five hours and a half.